This is our recently refurbished Concert Room. We can accomodate over 150 people in here and there is a live cabaret act on every Saturday and Sunday night, together with the ever popular bingo. This room is available to hire for social functions, please contact the club for details. This is the view looking from the front of the room towards the bar, with the dance floor in the centre. This is the view looking from the back of the room towards the stage area, with the dance floor in the centre and the stage to the right. 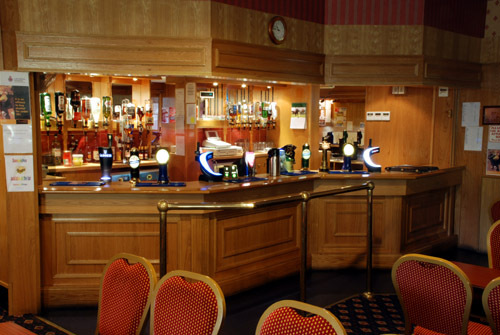 Our well stocked bar area, at the rear of the room .